Explore, Learn, Have Fun! 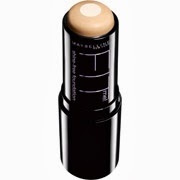 : FREE Sample Maybelline FitMe Shine Free Foundation! FREE Sample Maybelline FitMe Shine Free Foundation! Head over here to get your FREE sample of Maybelline FitMe Shine Free Foundation! Leave me a comment if you are lucky and get one! Samples are limited, so hurry! Free Samples: coffee, conditioner & more!